Lock in a great price for Atlantis Hotel – rated 8.6 by recent guests! Very very clean and amazing location, the pool was great too cause there was shadow from the flowery trees over the pool. breakfasts were best I've had in Greece. good coffee. very quiet place but only 200 meters from downtown action. some taxis don't know where it is. beautiful facilities. classic Cyclades architecture like a post card. 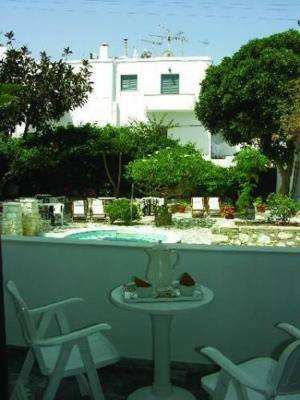 Very good location, very nice garden with pool, friendly staff and nice view of Naoussa marina from the room balcony. 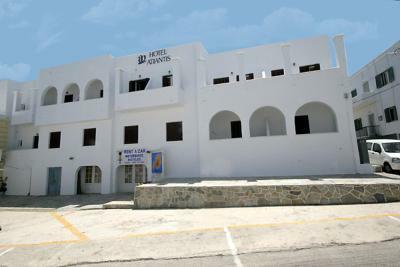 Location was fantastic, rooms were very clean and staff were very friendly. 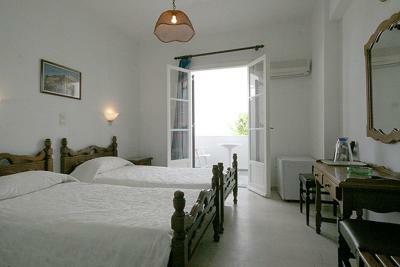 It was clean, comfortable, close to the beach and very close to the main town. 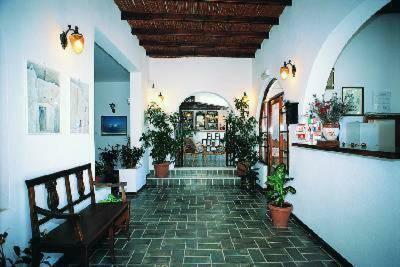 The hotel has an excellent location next to the port, and the old town, but surprisingly quiet. 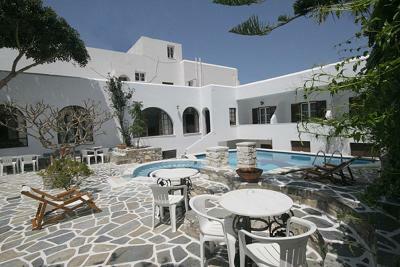 It is a traditional Greek hotel and spotlessly clean. 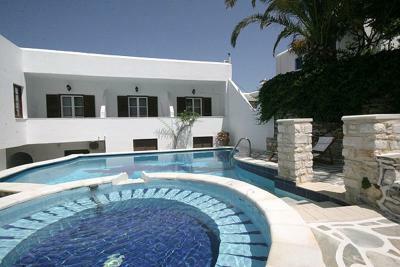 The pool and the garden were very good.the staff were very friendly and helpful. I liked the location very close to everything, the calmness of the hotel and the balcony view from my room. 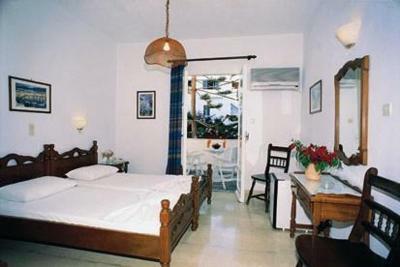 The room cleaner was very cute she decorated the bed everyday in a different way with flowers and stuff..
Nice Apartment very close to Naousa town centre. 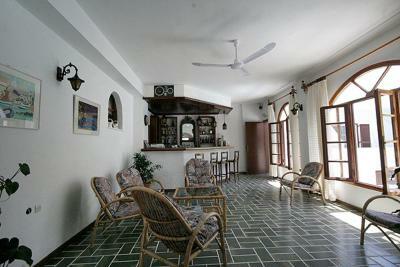 Very traditional style apartment with all amenities included. Location was superb! Staff were very friendly and helpful. The lady in reception was very nice and she always greeted me when she saw me. 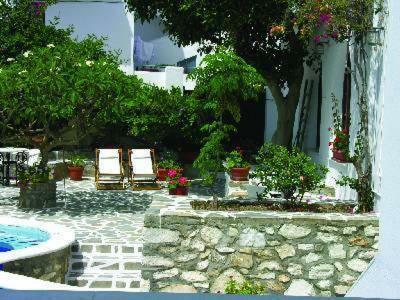 Perfect for a 2 night stay in Naousa which is a great part to stay in Paros. 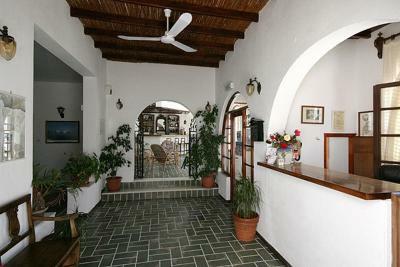 This property is literally walking distance to the heart of Naoussa. 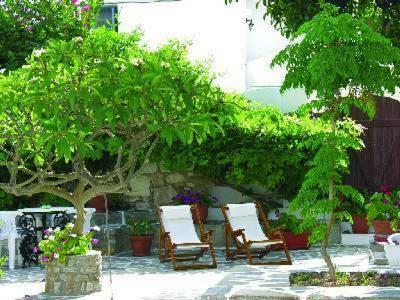 This is my third time to Paros and I have stayed in Naoussa every time and the location is very convenient to the town and also the bus station (400-500m away). The staff are very lovely and the room was extremely clean - I actually had reception call one day when I overslept to ask to clean my room!! 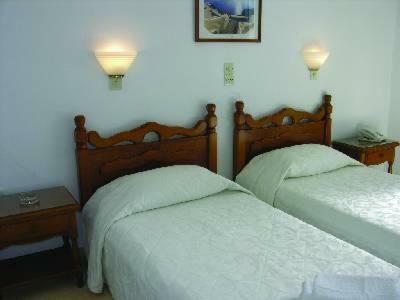 I would highly recommend for a value for money room that offers the basics really well. Atlantis Hotel This rating is a reflection of how the property compares to the industry standard when it comes to price, facilities and services available. It's based on a self-evaluation by the property. Use this rating to help choose your stay! 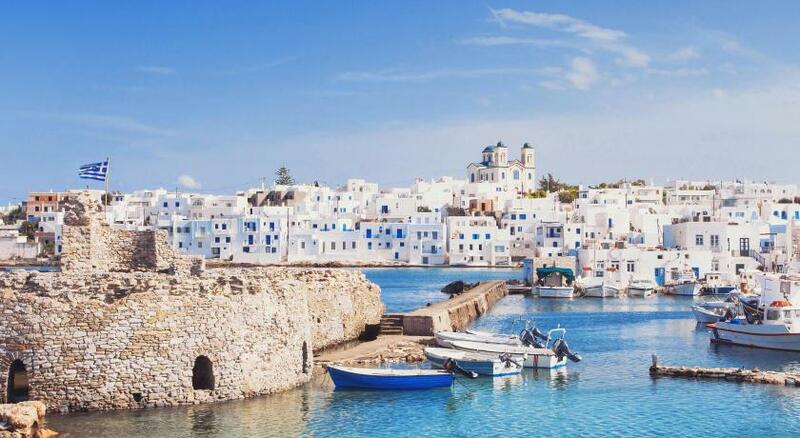 With a beautiful view of the fishing harbor, Atlantis Hotel is just steps from central Naoussa and features a lovely courtyard and cozy accommodations. Free Wi-Fi is available throughout the property. 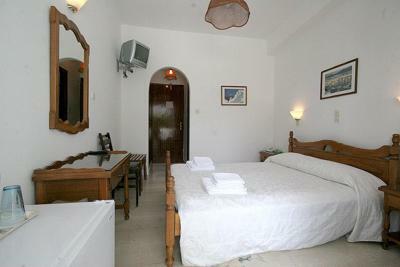 The rooms at Atlantis Hotel are well-presented and fully air-conditioned. 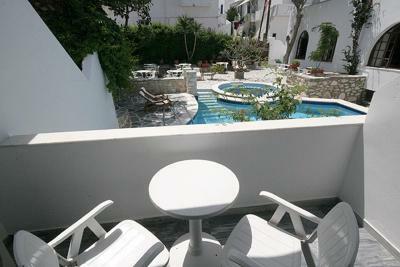 The private balconies are a great place to relax and enjoy views of the harbor, garden or the sea. 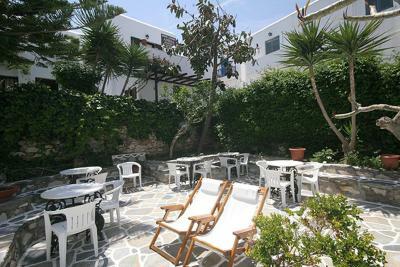 Atlantis Hotel's charming courtyard provides an ideal setting for a lovely breakfast. 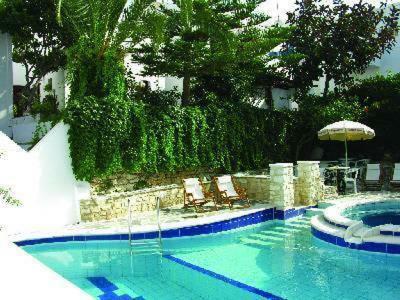 Afterwards, relax around the outdoor pool or take a dip in the hot tub. 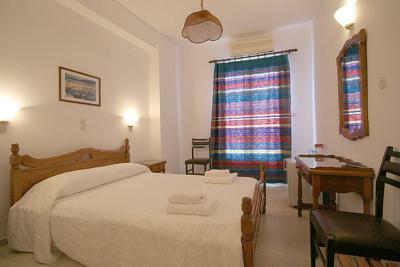 The convenient location of this hotel allows you to easily access Naoussa's popular attractions. 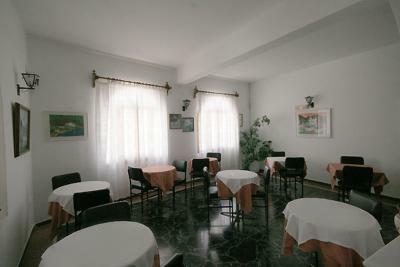 A number of restaurants and bars are just steps away. 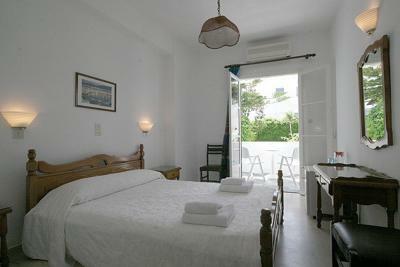 This air-conditioned room opens to a private balcony with garden or Aegean Sea views. Offers free Wi-Fi. 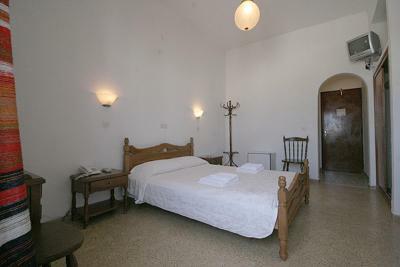 One child from 2 to 5 years is charged EUR 10 per night in an extra bed. Beds were a little uncomfortable and shower small. The fridge was a bit noisy. The pool was dirty, the bed was’nt so comfortable, there was’nt basic essentials like shampoo,soap,hairdryer. You feel like it’s an apartment more than a hotel. A few things in the room were a little outdated but wasnt a concern. There was a bar across the road that was open till late and you could hear everything but its to be expected as its peak time in August and many people are on vacation. For the price i paid breakfast included would have been nice but wasnt a problem as there is a great bakery 100m from the apartment. The hotel is old, clean but very old and noisy. 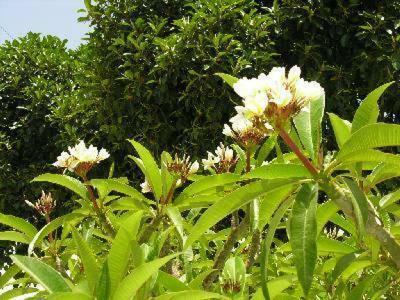 It seems to be in your grandma's house, but not for the kindness but just for the aging of the furniture. The hotel manager is not kind. We asked to change our room because the one assigned was too noisy. She gave us a new room but informing us that the day before our leaving we have to change it. No other communication by her side since 23.30 of the day before the change. The new room was available several hours later than when we were obliged to leave our room. No excuse from the host. From a cost/benefit point of view there are better options in town. The only good point of this hotel is the position (if you don't have any car). 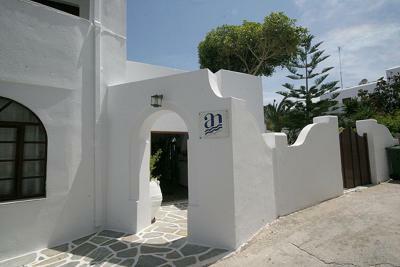 It is in the best possible location in the centre of Naousa near the buses. The hotel staff were very kind and the room was cleaned every day with the balcony included. 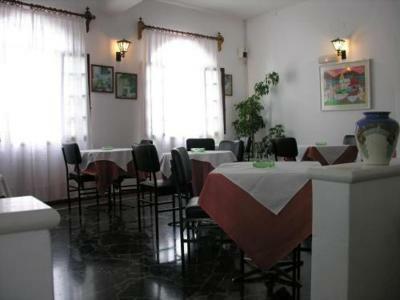 I was very satisfied with the room and i will suggest it to my family and friends. The only thing that to me was fine as I am in my late 20’s but may bother others, is that my room had a balcony that overlooked the street and could get noisy at times. The blockout doors do block out most of the noise, but at 5am during the World Cup there were some noisy fans across the street! The shower was tiny and difficult to adjust the temperature - was either too cold, and then suddenly too hot. Everything looks a bit dated. The bed was short, had to sleep on diagonal (I’m 1,85). The pool does not look inviting (some stuff from the trees floating in it), but the beach is nearby so no issue. 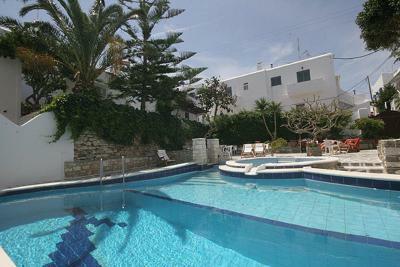 Perfect location - between the beach and the old town (2min both), but very quiet. Good quality for a competitive price. 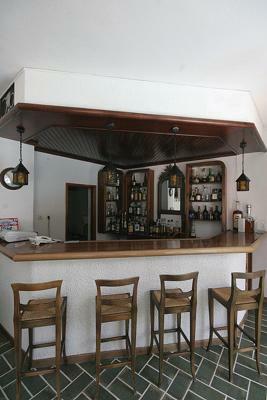 Great location on the edge of where you will want to be wan during around the streets of Naoussa. Great aircon and very comfy bed. As advertised. Would stay here again definitely.